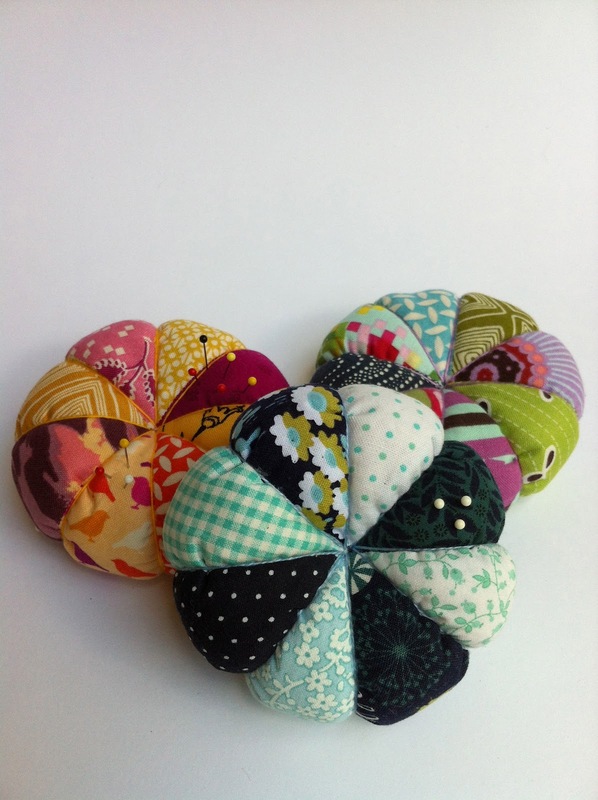 Last weekend, Kait and I spent the afternoon together and did this month's project---an adorable scrappy pincushion---in just a few hours. For me, the hardest part was figuring out what color scheme to go with, and in the end, I opted for navy and aqua. Kait was super industrious and wound up making two pincushions in the time it took me to make one, using colorful scraps (pictured above and below). The project was simple and quick and I loved the results---it'll be a great project for Christmas gifts! 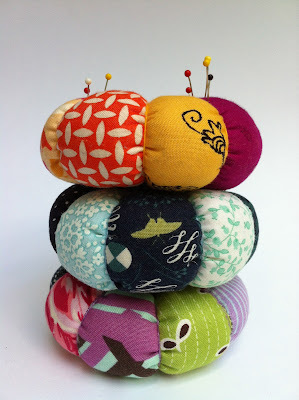 You can see Kait's post about our sewing afternoon together here.